French Polynesia’s largest airport is the Tahiti-Faa’a International Airport, which serves the capital city of Pape’ete. This island paradise is quite expensive, with even budget travelers facing minimum prices of $50 per day. June through August are the tourism peak season in French Polynesia, when temperatures dip slightly to a range of 20 – 30˚C (70-85º F). For the rest of the year, expect temperatures between 24 and 32˚C (75-90ºF). Jewelry, tattoos and alcohol are commonly available souvenirs from French Polynesia. 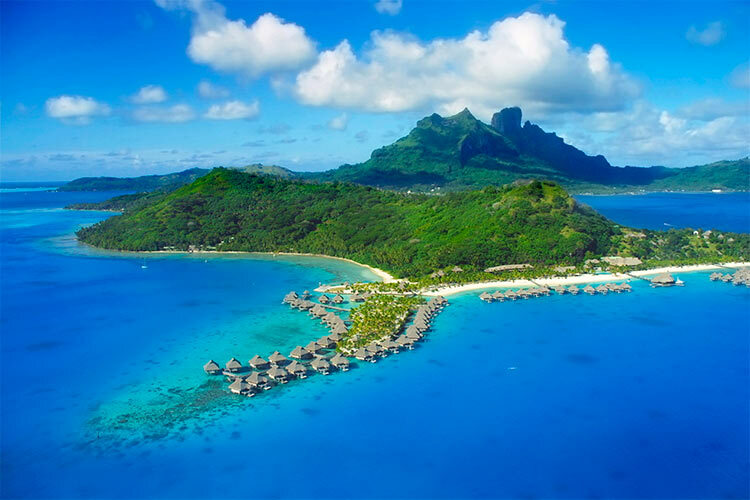 French Polynesia is a group of 118 islands spaced across 1200 miles right in the centre of the South Pacific. These islands are broken up into five groups based on their proximity to each other: the Society Islands, the Tuamotu Archipelago, the Austral Islands, the Gambier Islands and the Marquesas Islands. Of the five, the Society Islands are the most popular among travelers, most of whom stay on the main island of Tahiti. However, all of the islands in French Polynesia are quite exotic and beautiful, and it’s not surprising that French Polynesia, specifically Tahiti, is considered a top destination for honeymooners and beach bums. As the name suggests, French Polynesia is not its own country, but rather an overseas territory of the French. However, the islands haven’t always been under French control. The original inhabitants of French Polynesia were ethnic Polynesians, who likely reached the islands during the Great Polynesian Migration beginning in 1500 BCE. It is believed that the Marquesas Islands were the first to be settled. It took nearly 2000 years for all of the islands to be settled, making French Polynesia one of the last places ever settled by humans. Even today, ethnic Polynesians make up the majority of the inhabitants of French Polynesia. Europeans first reached the islands in 1521, when Ferdinand Magellan stopped at the islands while circumnavigating the globe. Over the next 200 years, European explorers periodically stopped in French Polynesia, but for the most part they focused their colonial efforts on other parts of the world. This changed in the mid 1700s, when Christian Protestant missionaries took an interest in the area. In 1772, the Spanish became the first Europeans to thoroughly explore the interiors of all of French Polynesia’s main islands; two years later they established an unsuccessful colony. Meanwhile, the number of foreign Christian missionaries continually increased. This ultimately displaced the indigenous ruler, King Pōmare II, who was forced into accepting Protestantism. To combat the spread of Protestantism, the French Catholics sent missionaries in 1834. Just two years later, the natives expelled the missionaries from the islands, promoting a military response from France. In 1842, the French took control over Tahiti and Tahuata, under the guise of providing a safe environment for the Catholic missionaries. Since then, French control in the region has perpetually grown, until in 1889 the entire island group was claimed a French protectorate. After French Polynesia provided numerous soldiers and was almost invaded during WWII, their status was upgraded to a French state, granting French Polynesian citizens the same benefits as those from mainland France. Through at the end of the 20th century, French Polynesia grew more and more autonomous. Since 1984, the region has been essentially autonomous, and in 2003 it was declared its own island collectivity. Tahiti is the largest and best known island in French Polynesia. The island’s black sand beaches distinguish it from other islands in the South Pacific, as well as making the islands a strikingly beautiful place to visit. 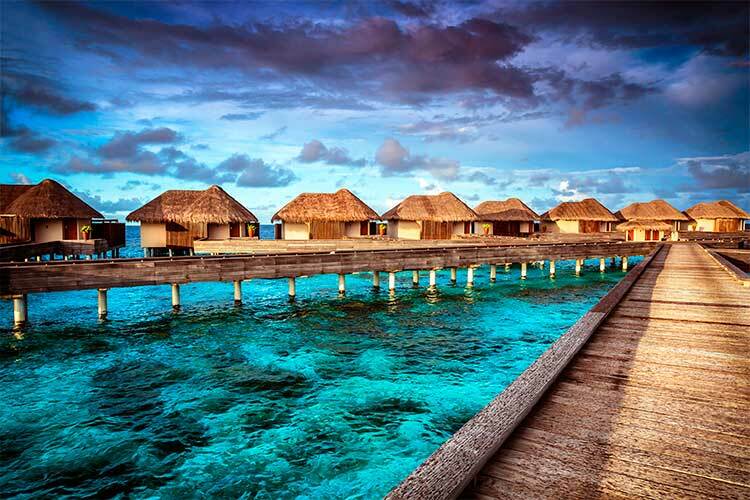 Tahiti has been a popular destination for honeymoons and beach resort trips for some time now, and the tourism industry there is very well developed. Some of the top attractions include the French Polynesian national museum, called the Tahiti Museum, the stunning Arahoho blowhole on the north shoreline of Tahiti Nui and Les Trois Cascades, a series of three waterfalls found inland. Visitors should also visit Le Marché, a unique two story market with thousands of different products for sale. Outside of Tahiti, the next most celebrated travel destination in French Polynesia is probably Bora Bora. 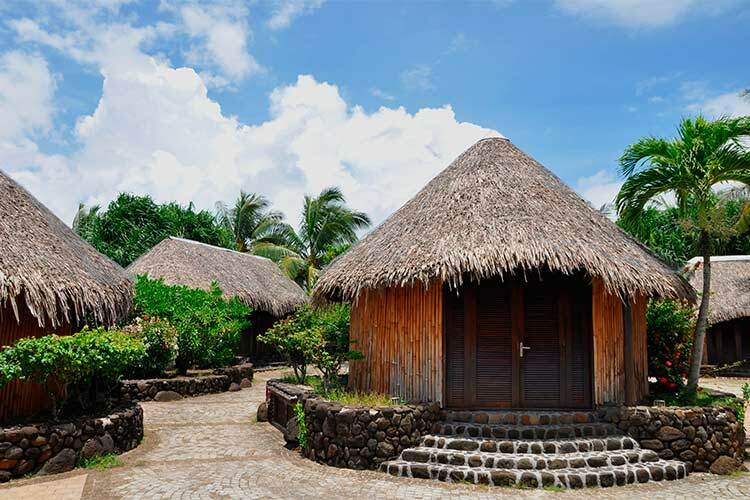 This volcanic island’s most famous feature is probably its bungalows, which extend on stilts far out into the sea. However, Bora Bora is also known for its calm lagoon, which is caused by the shape of the volcanic peak. Matira Beach at the southern tip of Bora Bora is probably the most popular area for swimming, snorkeling and scuba diving. Like Tahiti, Bora Bora is somewhat overrun with tourists. 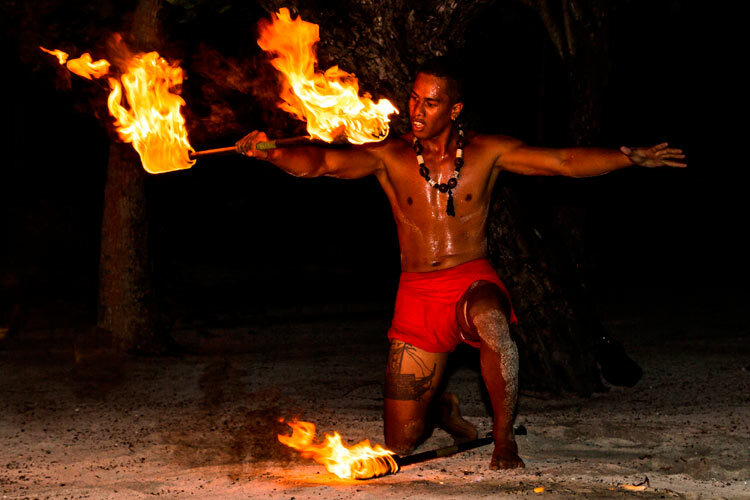 While this means you won’t get an authentic Polynesian experience, it also guarantees great restaurants, upscale shopping and numerous all-inclusive resorts and excursions. In the far southern section of French Polynesia sits the Austral Islands. Compared to Tahiti, Bora Bora and the rest of the Society Islands, the Austral Islands are utterly deserted. However, this makes them a perfect ecotourism destination for those looking to experience the islands of the Southern Pacific in their most raw, untouched form. Tubuai is the main island of the Austral Islands. From here, there are numerous remote islands one can reach by boat. Raivavae is a prime choice, as it is often considered one of the most attractive islands in the world. 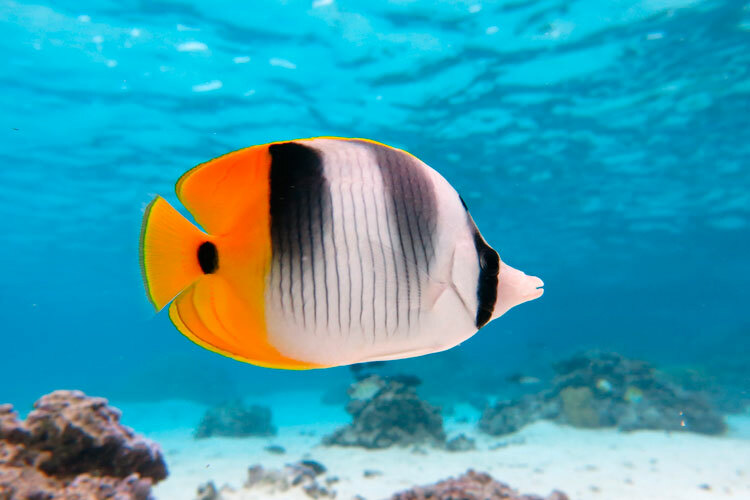 This island is known for its striking green waters and extreme diversity of sea birds and tropical fish. 1) While in Bora Bora, the thing to do is relax on the beaches surrounding the protected lagoon. Matira Beach is probably the most popular beach, and here you’ll meet tons of other travelers from around the world. Bora Bora is also known for its dining, which is some of the best in French Polynesia. 2) Raiatea (pictured below) is an island slightly off the beaten track, but still a great destination for travelers. The island is best known as the start of the first journey to colonize Hawaii several thousand years ago; there’s temple ruins to commemorate this journey. Raiaitea also features a gorgeous river, which numerous dinner cruises and ecotourist expeditions traverse. 3) Rangiroa is the second largest atoll in the world and a prime destination for ecotourism. The island is primarily known for its diverse marine life, which features everything from sharks to dolphins to manta rays. Scuba diving through colorful coral reefs is the way to go in Rangiroa. You may also wish to visit the two small villages of Tiputa and Avatoru. 4) Ua Pu is a very remote, yet strikingly beautiful island in Marquesas Island group. The island is dominated by four massive stone pillars, which visitors can hike and explore. Like any good French Polynesian island, Ua Pu also features countless beaches and water activities. 5) Tubuai is the main island in the Austral Islands group, making it a good starting place for exploring this remote region of the world. The island is a great location for scuba diving and snorkeling, as the entire island is surrounded by a protective coral reef. Tubuai also features two volcanic domes and dense jungle, both of which are simply begging to be investigated by inquisitive travelers. 6) If you’ve made it to Raivavae, you deserve to spend time relaxing on its beaches and taking in the sensational emerald waters. Because of its distance from other landing points, Raivavae hosts thousands of migratory and local sea birds throughout the year, making this a prime location for bird watching. 7) When in Tahiti, be sure to check out the famous Arahoho blowhole. Then, trek inland to see Les Trois Cascades, an appealing trio of waterfalls. Of course, you’ll want to relax on the world-famous black sand beaches, as well as do some shopping at one of the numerous markets. Try La Merché for a unique shopping experience.